HoZac 7″s Galore On Geek EmaNation Podcast! The 7″ vinyl record may seem like a relic to many, but just like 12″ LPs it is experiencing a Renaissance of sorts here in the second decade of the 21st Century. 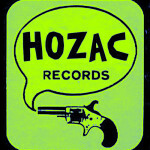 Hear some exemplary releases in this format on Chicago’s terrific HoZac Records, along with some other oddities and surprises, on this large-holed episode of The Geek EmaNation Show. Small can be mighty, fellow music geeks!